The First Book of Enoch was fairly well known in the first century, and accepted by both Christians and Jews. It is a composite book, made of several books joined together, but all deal with the visions of Enoch, the great grandfather of Noah. This book deals with the oldest of these, The Book of Watchers . It is a scholarly text, and studies how the book was received by Jews and Christians at various times in their history. When Christianity first appeared, its historical origin was in Second-Temple Judaism. The first temple was built by King Solomon, and was destroyed when the leading Jews were taken into exile in Babylon. When Babylon was conquered by Persia, Jews were allowed to return to Jerusalem, and the temple was rebuilt under Ezra. This was the temple that Jesus and his disciples knew. Second-Temple Judaism had many different schools and sects. The Pharisees and the Saducees, mentioned in the New Testament, were among the better-known. But the Second Temple was destroyed in AD 70, when the Romans put down a Jewish revolt, and the only Jewish Schools and sects that survived for a long time after that were Christianity and Rabbinic Judaism. The Book of Watchers was generally accepted by the early Christians, and was quoted by the New Testament book of Jude. Among the Rabbinic Jews, however, it was rejected. The Book of the Watchers is an apocalypse from the third century BC, which describes Enoch’s ascension to heaven and what he saw there. It also describes the “Watchers” (egrigori), the “Sons of God” of Genesis 6:1-4, who are accused of corrupting humankind through their teachings of metalworking, cosmetology, magic, and divination. These Watchers are fallen angels, who are led by Semihazah and Asael, and the book expands on the somewhat cryptic references in Genesis 6:1-4. The later parts of I Enoch, however, have a different emphasis. They concentrate on the sexual sins of the angels, rather than their teaching illicit and corrupting knowledge. They lusted after the daughters of men, and breeding with them to produce a race of giants, the Nephilim. It is unclear whether these all perished in the Flood, but the spirits of those that did perish remained on the earth, and became the demons that plague the human race. Rabbinic Judaism rejected this view, and gradually adopted the view that the “Sons of God” of Genesis 6:1-4 were purely human, and one interpretation was that they were children of Seth rather than children of Cain, and the stories were told to discourage intermarriage. Later Christian interpreters tended to adopt the Rabbinic Jewish interpretation, though in the medival period some Jews returned to the idea of the “Sons of God” as angels, described in 3 Enoch, a much later work. That’s a very inadequate summary of 277 pages of text, and not being an expert on ancient texts, it would be foolish of me to try to give a scholarly review of it. What I find interesting are some of the ideas that the book promotes or preserves, and the way it was used by 2nd-century Christian apologists, like Justin Martyr. He developed an interesting theology of religion, which modern “theologians of religion” don’t talk about much, but which would have made a great deal of sense to Christian converts from Greco-Roman paganism in the 2nd century. According to Justin, the gods of the Greco-Roman pantheon were these very Watchers, fallen angels. 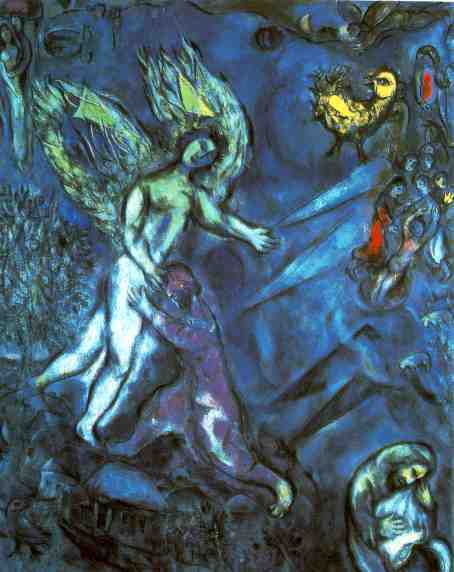 Justin’s understanding of these Enochic traditions, however, is informed by an innovative interpretation of the identity of the fallen angels and their sons. Reading the Book of Watchers’ association between the spirits of the Giants and present-day demons through LXX Ps 95:5 (“all the gods of the nations are daimones”), Justin asserts that these figures are the very gods celebrated in Greek myths and worshipped by the Romans who ironically persecute Christians for their alleged atheism and impiety. By equating fallen angels and demons with the pagan pantheon, Justin is able simultaneously to explain and to undermine Greco-Roman traditions about the gods by reading them through the lens of Enochic traditions about the Watchers (Reed 2005:164-165). The tales told in pagan mythology about the Olympian and other gods having sexual relations with humans are, according to Justin, also derived from the stories told in the Book of the Watchers . Justin not only recast the angelic descent myth to speak to the situation of Christian persecution, but he did so in terms that rendered it accessible to accessible to an audience of former pagans. He cites the Greek myths much as he uses the Jewish scriptures, claiming that the truth therein can only be exposed by a certain mode of reading. 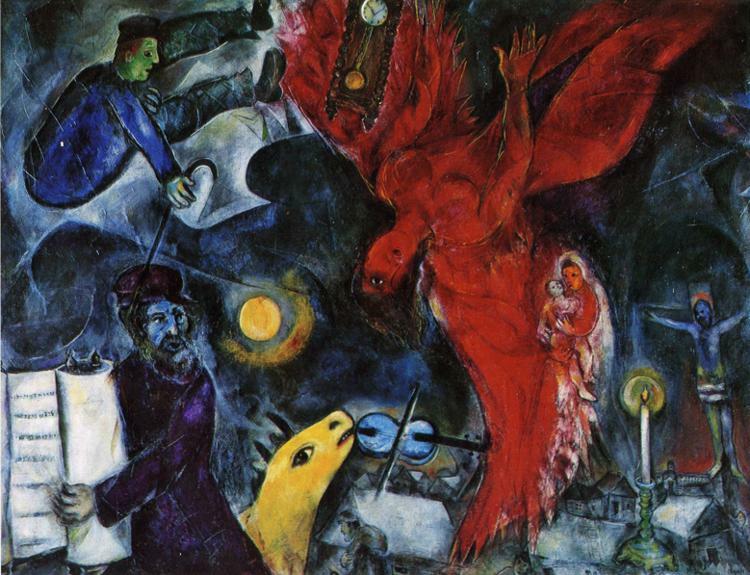 Just as his anti-Judaism is founded on the inversion of the Deuteronomistic approach to biblical history, so he offers a distinctively Christian variation on the euhemeristic and allegorical interpretation of Greek myths by learned Greeks and Romans: the tales about the impious deeds of gods and sons of gods actually attest the activities of the fallen angels and demons, and the legends about their divine deeds are really fictions that the demons invented about themselves in a petty imitation of the true prophecies about Christ. Much the same can be said of Justin’s approach to Greco-Roman religion: pagans already acknowledge the role that daimones play in the cosmos; what he tells them is that all daimones are evil (i.e. “demons” as in the Jewish and Christian understanding of this Greek term). Likewise, his denunciation of pagan sacrifice and idolatry echoes Greco-Roman philosophical critiques of popular religion, and his assertion of the fallen angels’ role in transmitting corrupting skills and knowledge grounds its plausibility in myths about divine and semi-divine culture-heroes. 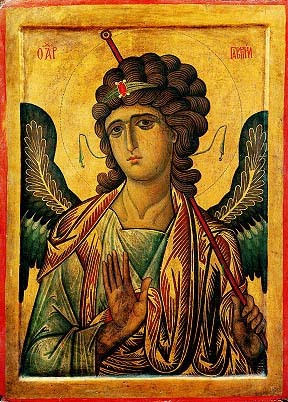 When read through the lens of Justin’s historiographical and demonological approach to the history of human culture, his retelling of the angelic descent myth resonates with the cultural expectations of Gentile Christians, even as it serves to confirm their choice to reject their pagan past — a choice here elevated to the level of a decision to free themselves from demonic enslavement and ally themselves with Christ in the cosmic battle against evil (Reed 2005:186). One thing I thought was rather a pity is that, apart from a passing reference in a footnote, there was no mention of the reference to “Sons of God” in Deut 32:8 or Job 38:7, and no reference at all to Psalm 82. A thing that I found interesting was that the fallen angels promoted the cosmetics industry, the arms industry, and magic and divination, and these led to the earth being filled with violence, which in turn led to the Flood. And something I found interesting about this was that back in 1993, when I worked in the Editorial Department of the University of South Africa, we organised tutorials on distance teaching methods led by one Fred Lockwoood, of the Open University in the UK, as part of our contribution to “transfomation” – changing Unisa from an apartheid indoctrination machine into a real university. The “old guard” at Unisa were furious with us for doing this. But when Fred Lockwood came, it was clear that he despised the humanities, and regarded them as useless, and for his examples of teaching methods chose a subject he regarded as more useful — which happened to be Cosmetology. It wasn’t a subject that was taught at Unisa, and if looking for a subject of more practical use than the humanities, perhaps food production might have been better. But no, he chose a subject that, according to the Book of the Watchers , was first taught by fallen angels. I was also interested to learn that the Greek name for Watchers — egrigori was the origin of the word “egregores”, which has been used by some to mean a group that takes on its own character, with the whole being greater than the sum of its parts. So a collective entity like a nation can have a “national spirit”, which in this sense is an egregore, and the Orthodox ikon of the Tower of Babel shows these national spirits, the angels of the nations, “sons of gods” of Deuteronomy 32:8, the egregores, or egrigori, the principalities and powers of Ephesians 6:10-12. See also Of Egregores and Angels. Thanks Steve. Didn’t realize this is where the word came from. We have canonical evidence that the Greek gods were angels. In Rev 9:11 we read “They have as king over them, the angel of the abyss; his name in Hebrew is Abaddon, and in the Greek he has the name Apollyon.” Apollyon is an archaic form of Apollon or Apollo. Apollo is recognized as a god in the Greek pantheon. The Bible reveals him to be an angel.